We have now added a self catered apartmennt to our already successful bed and breakfast in Aviemore. 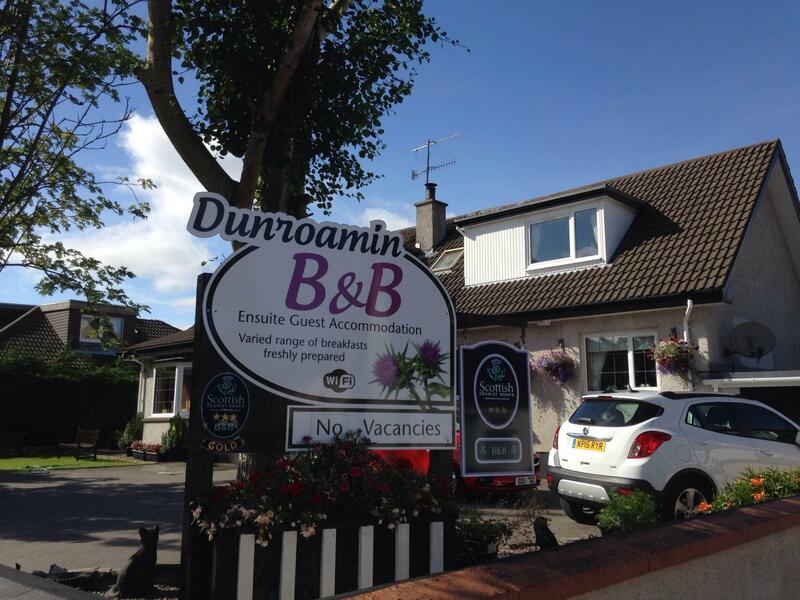 Dunroamin, Aviemore Self Catering is in an ideal central location, only a stones throw from the main house. This spacious apartment has excellent facilities comprising of 2 large bedrooms (1 en-suite) and fully tiled bathroom (bath &shower). Fully equipped kitchen/diner which includes a dishwasher and washing machine, and a large comfortable lounge. Master bedroom with ensuite has been refurbished December 2016 and hosts a King sized bed. Lounge has a double bed settee. Sleeping can be for 6 adults or 7 in a family arrangement. Our Self Catering Accommodation is situated along the main street in Aviemore less than 5 minutes walk from local amenities, supermarket, shops, restaurant and bars and a short walk away from the Train Station. The property has private car parking at the rear of the building and is ground level with ramp access to the apartment. For your convenience the kitchen is also stocked with basics to get you started. Tea, coffee sugar and milk as well as salt, pepper, oil, margarine and bread. In addition to towels, the bathrooms have shower gel, shampoo and soap.